Search Engine Optimization | Innovative Network Solutions, Inc.
Hard to find in-house SEO? INS has you covered. 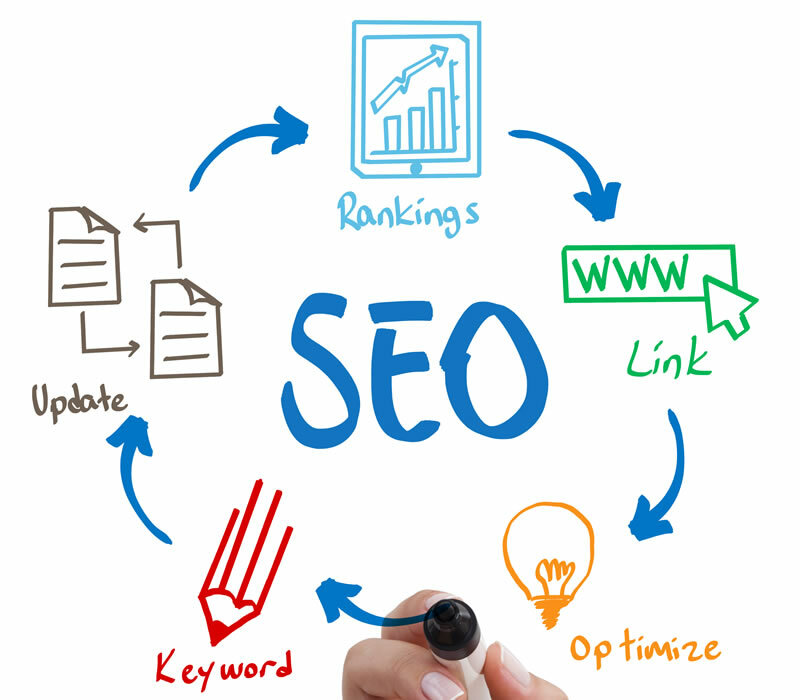 You've heard the term "SEO" get tossed around all the time, and every business knows that search engine optimization is important, but here at Innovative Network Solutions, we don’t just make a good site with clever words and tell you it is optimized; we ensure results-driven optimization with high-level analytics performed by trained experts in the field. 3.5 billion Google searches are performed each day, and our SEO professionals use sophisticated tracking and data analysis software that combs through it all and determines not just what to say, but the best way to say it. Point blank: Innovative Network Solutions is the local SEO company you want behind your website. Our SEO metrics go far above and beyond simple word choices, and involve word count, word density, call to action placement, content readability, and more – all backed by hard numbers and exhaustive research. By strategically fine-tuning the scope and delivery of your web content, INS can ensure that whenever someone searches for any of your services, your name will pop up high in the results. Get the information. Get the phone calls. Get the customer. With INS-delivered SEO for your company’s online presence you get higher conversions. Your website will be optimized with the specific goal of capturing new business, and it is a proven fact that SEO dramatically increases your rate of success. At INS, we pride ourselves on the success of our clients. Obtaining local SEO services can be difficult, and you want an SEO company that understands your business mission and clientele. INS understands this, and our SEO experts will comb through the data to gain a deeper understanding of what your customers are looking for and clicking on. To us, you are not just another client; our SEO services are custom tailored to your company and your users from the ground up. There is a reason search engine optimization has become such a hot topic with such high demand. Bluntly, SEO is the only way to remain competitive in today’s online world. In order to drive traffic to your business website, you need to have your content structured and presented in an extremely specific and highly variable way. Your competition knows this. But you know something better: INS, the SEO Company. At Innovative Network Solutions, we don’t just include SEO as an afterthought. We make a higher placement than your competitors in the search results a number one priority.